NCCS is partnered with Trio Hospitality to provide high-quality food service for the North Clackamas Christian School community. Ordering your child's lunch couldn't be easier. Simply visit boonli.com (formerly orderlunches.com) to view daily menu options and place your order. 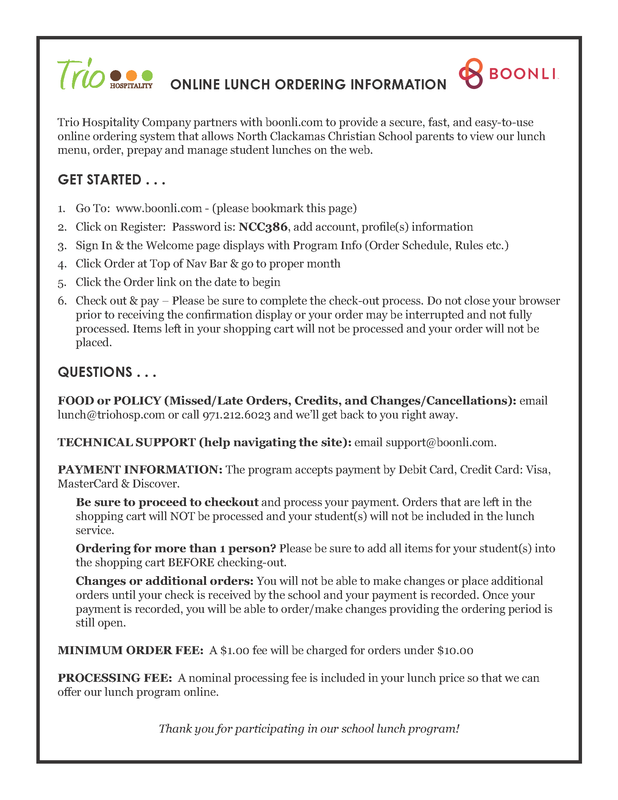 This is a secure, fast, and easy-to-use online ordering system that allows NCCS parents to view our lunch menu, order, prepay and manage student lunches. Below are easy to follow instructions or click the Purchase School Lunch link to go directly to their website! The NCCS password is NCC386.